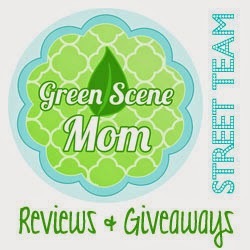 Trying To Go Green: Kushy Tooshy Cloth Diaper Review & Giveaway 3 winners! Kushy Tooshy Cloth Diaper Review & Giveaway 3 winners! You all know that here in our house I am cloth diaper obsessed. I love trying out new diapers and the cuter the better. This is from Kushy Tooshy they are a new cloth diaper business so hop on over to their site. I was even more excited when I was sent 3 Kushy Tooshy diapers to giveaway to 3 of you! I choose to try out the candy corn diaper. This diaper is a pocket diaper and it is in size medium which fits 15-28lbs and retails for $22.00. It has snaps on the rise and waist. It also comes with a insert. Their inserts are made from Bamboo Velour. The diaper worked great we have only used it at home so far and have not used it out but it was went for a few hours with no leaks. Here is how it looks on. These are cute and worked great. 3 lucky TTGG followers will be winning a diaper. Here are the 3 diapers you will be winning. Winners will pay $2.00 to ship their diaper and insert. This is the tags diaper and it is size medium that fits 15-28lbs. This is the skeleton diaper and it is size medium that fits 15-28lbs. Lastly is the turtle diaper this one is size small and fits 11-21lbs. I like the skeleton, then the turtle then the tags. Thank you! Turtle is my favorite! Next skeleton, then tags.